Mike had warned us at the end of last week’s lesson that week 2 was all about “the grip”. He explained that this was not the most exciting topic, far less enjoyable than hitting golf balls but nevertheless essential to learn at the start of our golfing journey to ensure the best success at being good golfers. To be fair, it wasn’t as tedious as Mike led us to believe. 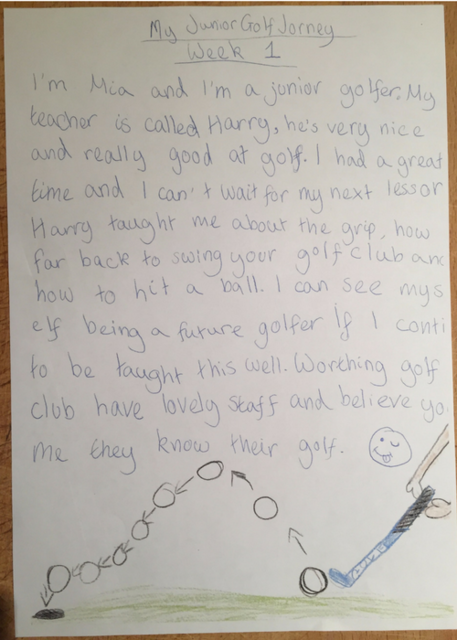 Perhaps it was for him because he talks about it frequently throughout his working week - with WGC members popping into the Pro Shop to ask them to check their grip – even those that have been playing for years! 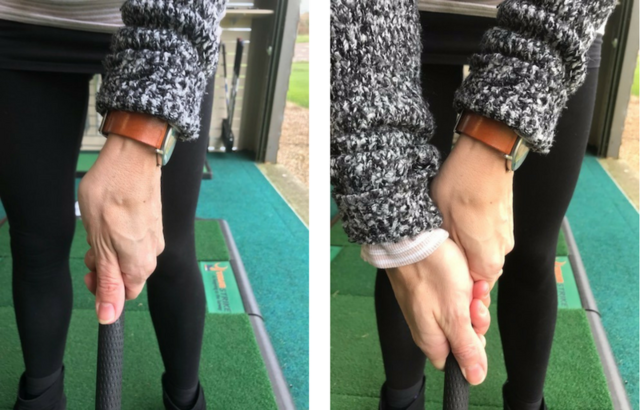 So, if seasoned golfers are still getting their grips checked, I appreciate how important this is for us to learn. It felt rather awkward to hold the club in this way but apparently this will become less so and I trust them when the Pros say our game will be much better if we continue to play golf… which I’m already suspecting that we will. Andy, my husband, was away in the US with work all week so missed this lesson but Mike kindly asked me to bring him in a little earlier so that he wouldn’t miss out on the joy of “the grip”. They really do care about us learning the right way! We also focused on our backswing this week. To help us find the right level of backswing, we practiced with a weighted pole, which weighed about 4lb (compared to the 16oz of the club). This was a great learning tool because if we swung it back too little (as I did) or too far we would struggle to keep it upright; the additional weight ensured we hold it at just the right height. By now, as I practiced hitting balls, my head was thinking of so many things at once and it wasn’t easy to coordinate everything. But there were a few balls where my grip was correct (I think), my backswing was full enough, and my left arm was straight, and the ball went far and straight. And wow, that felt really special! Mike also gave us some simple exercises to do at home which would improve our balance – so much to think about. But I look forward to the day when this all fits together naturally in my head. The whole family are really looking forward to next week's class.